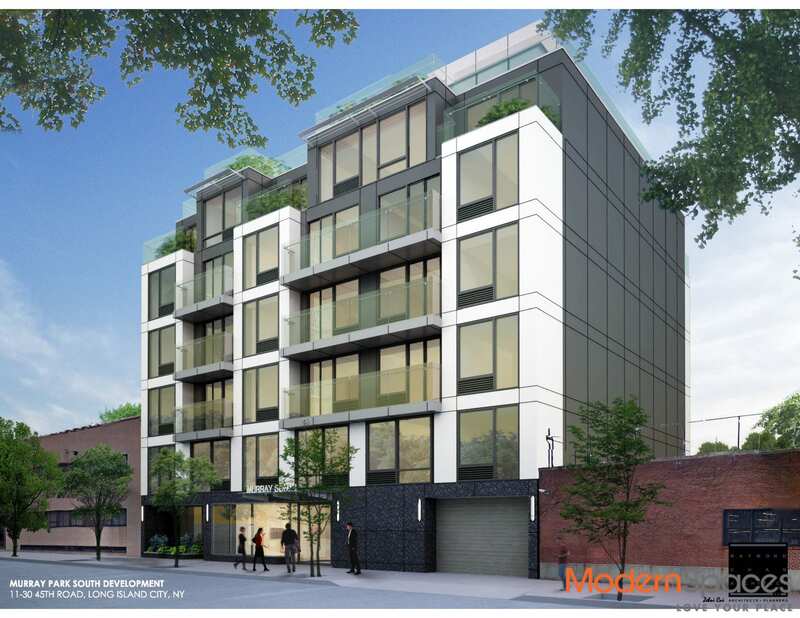 A brand new 2 Bedroom/ 2 Bath home at this distinctive 24-unit boutique condominium that offers an extraordinary lifestyle in a vibrant neighbourhood steps away from Murray Park. LIV@Murray Park South joins its sister building, LIV@Murray Park North, and is newly built at the opposite side of the park. 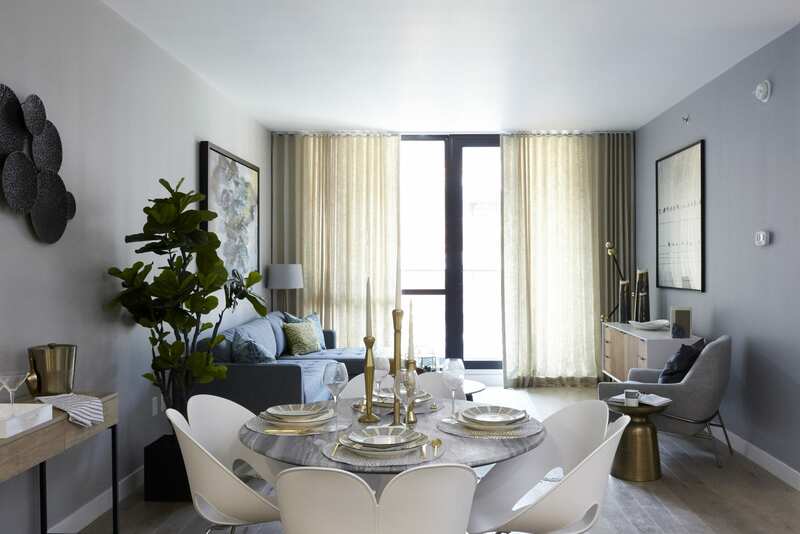 It offers its residents the best of urban living in lively Court Square where shopping and dining are in close proximity along with convenient access to the E, M, G and 7 subway lines, making trips to Manhattan and other boroughs a breeze. 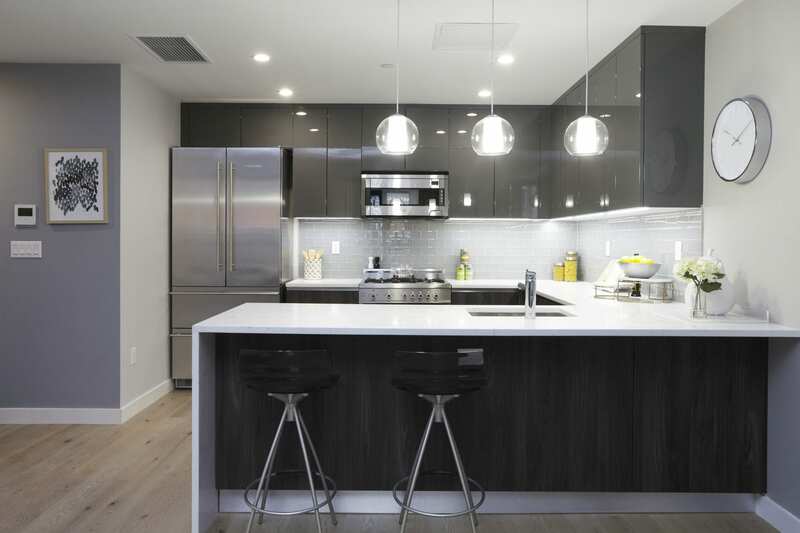 1100 SF layout features spacious living room with access to the 68SF balcony and as dining area offset with a chef-inspired kitchen installed with a vent out system and top brand stainless steel appliances including a Bosch dishwasher. All rooms are south-facing with two sizeable bedrooms and abundant closet space. 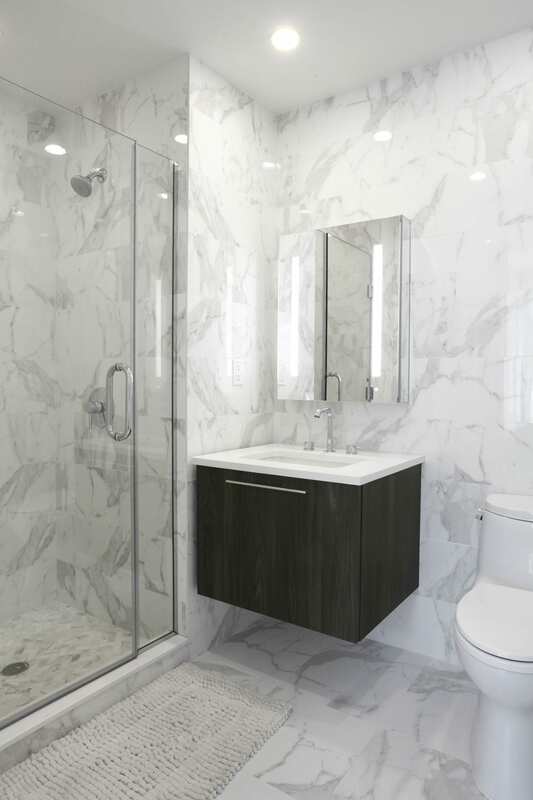 Two full bathrooms featuring a radiant heated floor in the master and both are outfitted with high end fixtures. 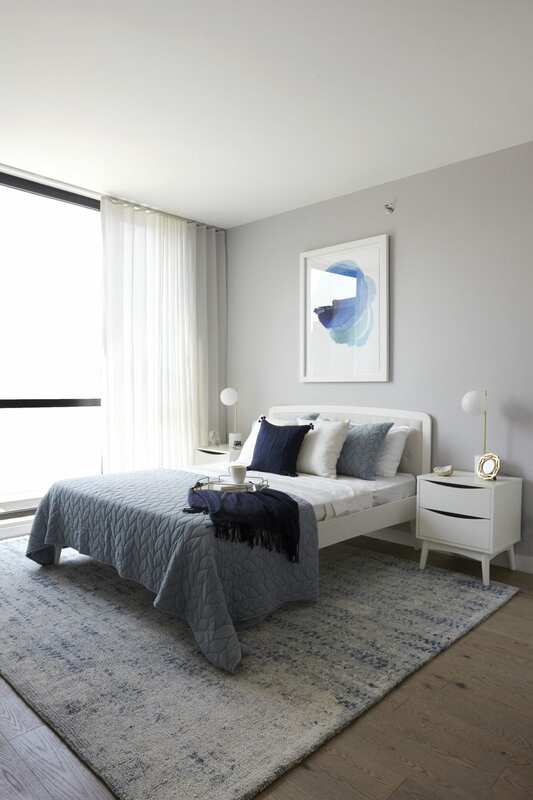 Hardwood floors throughout and floor-to-ceiling windows – tinted for added privacy. Provided is a split system for self operation of heat and air conditioning as well as an in-unit washer and dryer. Outstanding amenities abound when it’s time to unwind either in the über chic lounge, a wonderful roof deck with panoramic Manhattan views and the rooftop fitness centre offering views as well as great workout machines. Also offers HOME COMELITE, a sophisticated video intercom system accessed through your mobile device. Indoor parking available separate to purchase. 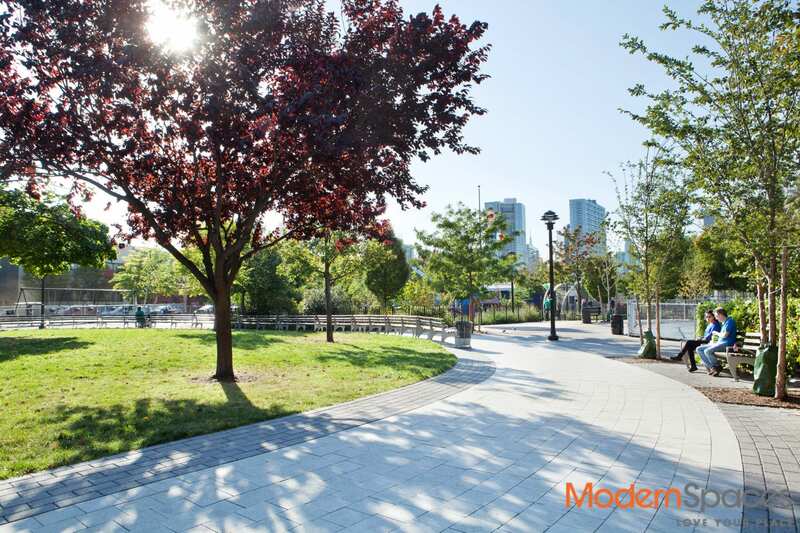 Come luxuriate in a new way of life and enjoy the fascinating community of Court Square with its dynamic dining scene and one of the highest concentrations of cultural centres and art galleries in NYC. 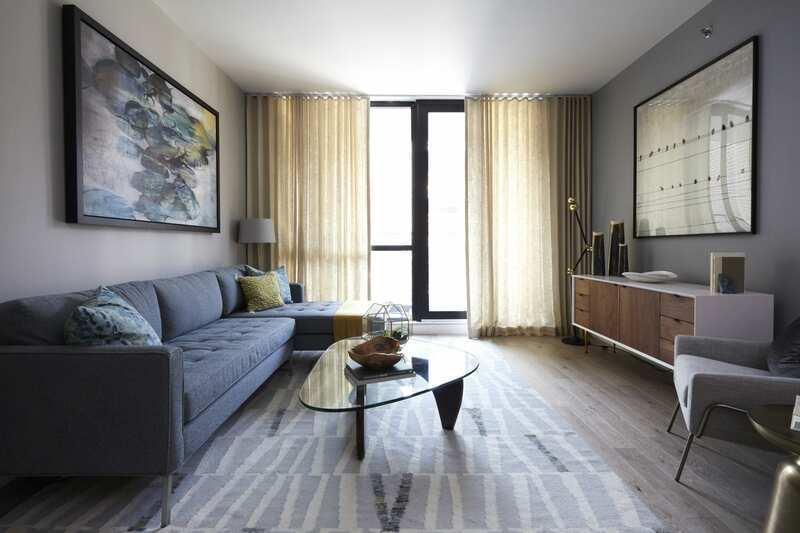 A brand new 2 Bedroom/ 2 Bath home at this distinctive 24-unit boutique condominium that offers an extraordinary lifestyle in a vibrant neighbourhood steps away from Murray Park. LIV@Murray Park South joins its sister building, LIV@Murray Park North, and is newly built at the opposite side of the park. 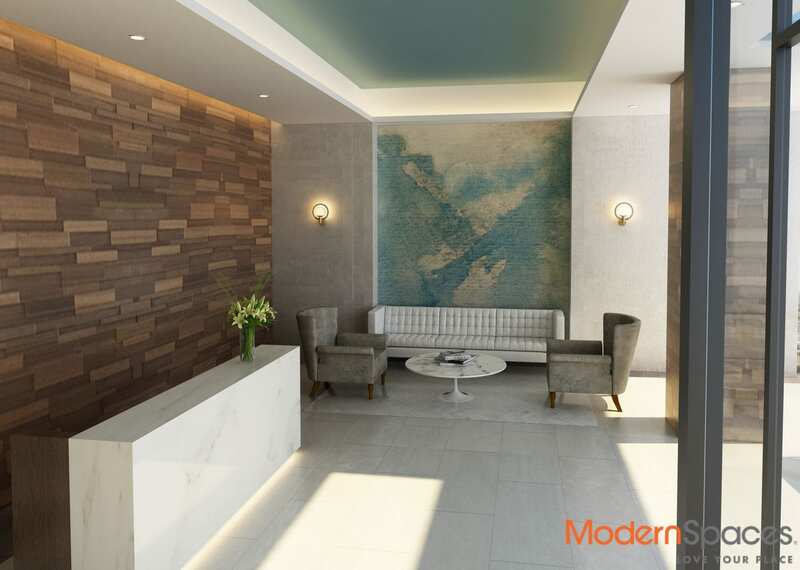 It offers its residents the best of urban living in lively Court Square where shopping and dining are in close proximity along with convenient access to the E, M, G and 7 subway lines, making trips to Manhattan and other boroughs a breeze. 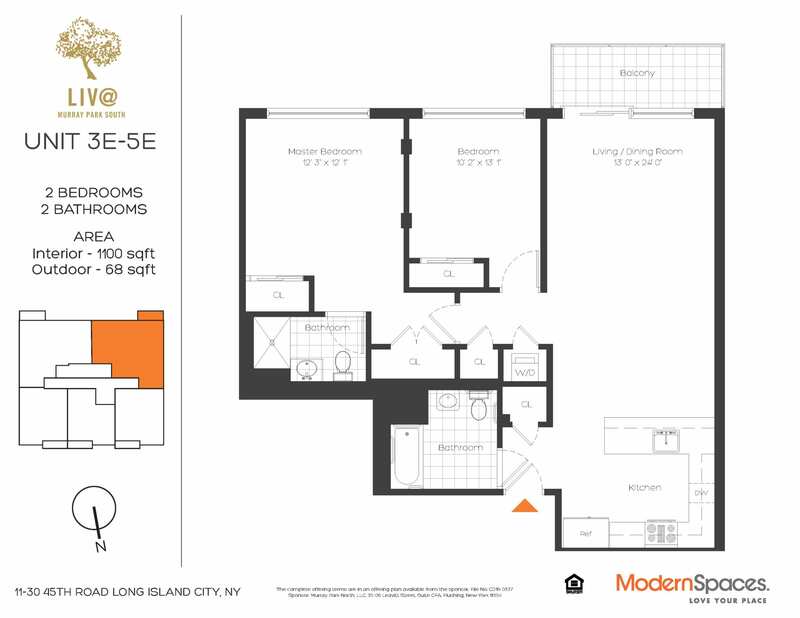 1100 SF layout features spacious living room with access to the 68SF balcony and as dining area offset with a chef-inspired kitchen installed with a vent out system and top brand stainless steel appliances including a Bosch dishwasher. 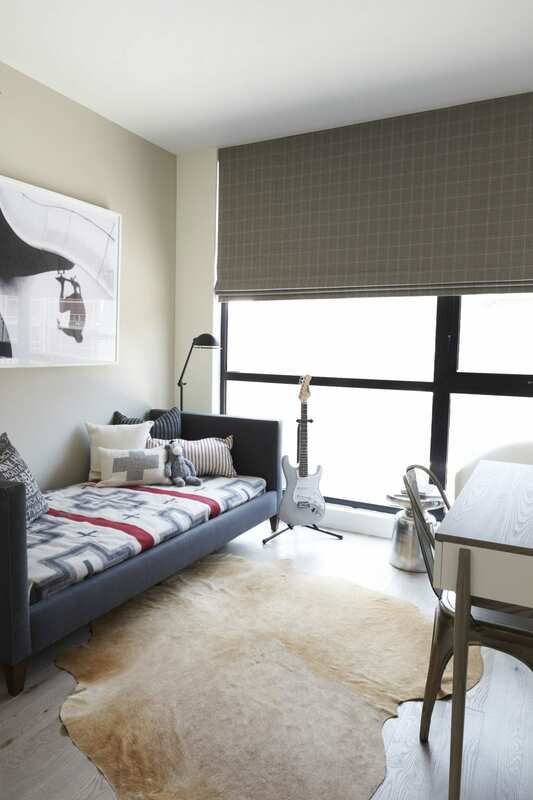 All rooms are south-facing with two sizeable bedrooms and abundant closet space. 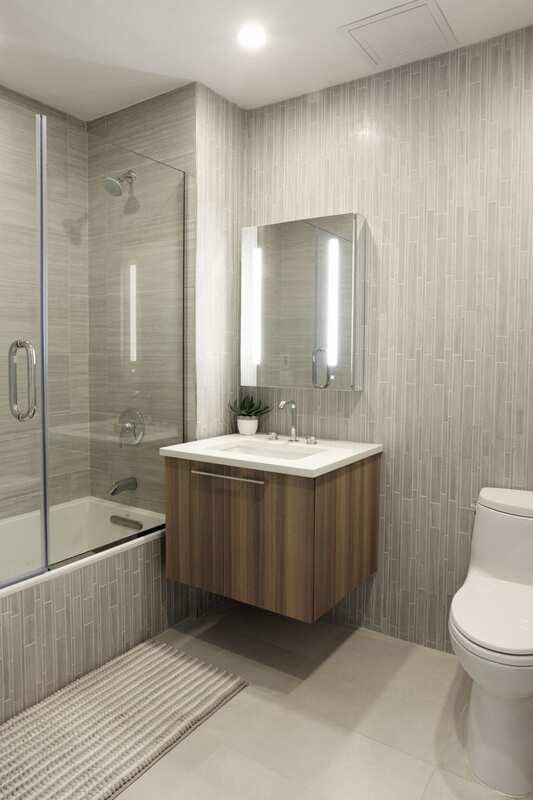 Two full bathrooms featuring a radiant heated floor in the master and both are outfitted with high end fixtures. 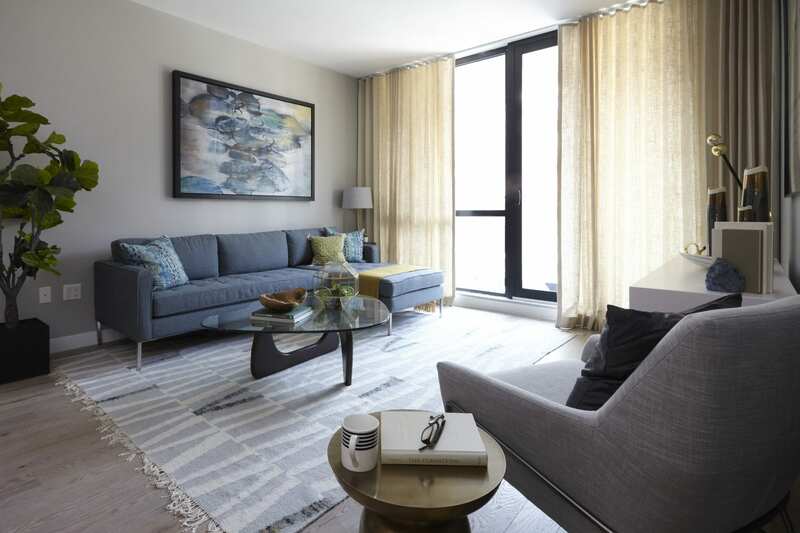 Hardwood floors throughout and floor-to-ceiling windows – tinted for added privacy. Provided is a split system for self operation of heat and air conditioning as well as an in-unit washer and dryer. Outstanding amenities abound when it’s time to unwind either in the über chic lounge, a wonderful roof deck with panoramic Manhattan views and the rooftop fitness centre offering views as well as great workout machines. Also offers HOME COMELITE, a sophisticated video intercom system accessed through your mobile device. Indoor parking available separate to purchase. 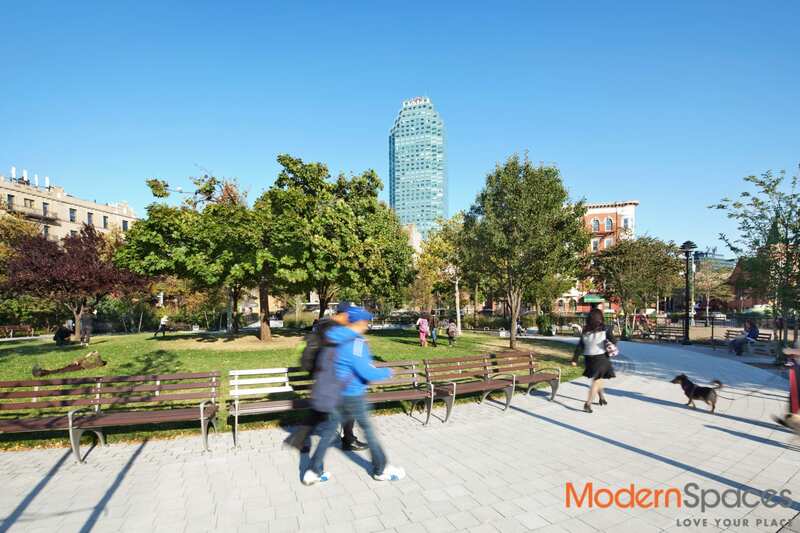 Come luxuriate in a new way of life and enjoy the fascinating community of Court Square with its dynamic dining scene and one of the highest concentrations of cultural centres and art galleries in NYC.